One size doesn't fit all. Single vs Multi-Disciplinary, Single vs Multi-Location and small vs major markets. 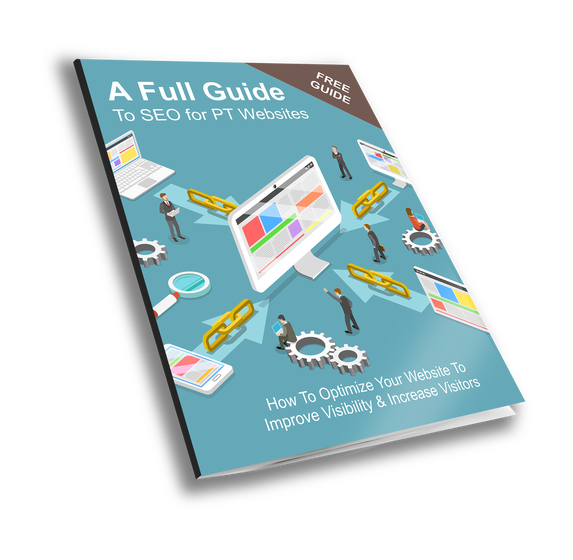 We can create a custom SEO plan for your clinic as we know SEO and we know the PT Industry. For all PatientSites clients, when setting up sites we work to ensure the content that you provide is formatted to provide search engines with the cues needed to index your site with relevance. Many of our clients rank on Page 1 of search results with this initial work but for clinics in more competitive markets (or with many locations) additional custom work is often needed. Don't spend more than you need to! At PatientSites, our approach is to follow a clear process, measure results and expand recommendations only as needed! Know What All Successful Physical Therapists Need Today? How local search really works and how to take maximum advantage of it without any previous SEO experience! How to optimize your Local Business Listing for Google's local search engine algorithm – it's easier than you think when you follow these simple tips! What you really must do to rank high on Google and other search engines ... as well as what not to do! How to ensure you are providing high quality content that Google will love and rank highly! Why you should avoid using "black hat" tactics at all costs – and what you should do instead to get your rankings as high as possible as fast as possible! Take your online image to the next level! Gain more trust online, improve the quality of your citations and keep your brand image positive. Today's ever growing list of tech-savvy consumers get their information from the Worldwide Web where they can simply use their fingers to type a couple of words into the Google search box and get what they are looking for instantly - literally with the click of a mouse button. These prospects may use office computers, wireless laptops, hot spot networks, Internet cafes and various mobile devices across a massively growing "Global" market to get the information they need. You've seen it firsthand. Everywhere you look you can't avoid this trend. "It's the 21st century way and it's here to stay"
In fact, according to the latest statistics, there are now over 3 BILLION people worldwide using the Internet as their primary source of information, a figure which includes everyone from young children to senior citizens. 90% of online searches with commercial intent result in purchases at the store (comScore). 74% of Internet searchers have utilized local searches (Kelsey Group). 61% of local searches end up with a person making a purchase (TMP/comScore). 54% of Americans have given up the dusty old phone book for desktop and mobile local search (comScore). 35% of all Internet searches are local (DM News). 82% of local searchers make an in-store visit, call or purchase. (TMP/comScore). So ask yourself this: when local residents go online and search for a physical therapist are they finding you or your competitor? And if they are finding your practice instead of the competition, how many are being converted into paying clients? To put it bluntly... If you're not properly positioned in front of the RIGHT people, using state of the art SEO and exploiting the full potential of the Worldwide Web to your benefit, then someone else will - and that person will most likely be your rival - stealing customers right from your very own doorstep! Your leads – customers – and sales... can increase ten-fold! Your reputation and status in your community can grow by leaps and bounds! You can also quickly position yourself as the "go-to-person/expert" for physiotherapy in your area! Ready to learn much more about how to use SEO to increase your clients and your profits? Get our free ebook, "SEO - Search Engine Optimization". One of the signals that search engines consider as part of their ranking algorithm is the presence (and quality) of your online reviews. At PatientSites, our Lead Autom8r suite comes with an application that is designed to get more of your happy patients to post online reviews for you. For clinics that need more on this front, we offer a reputation management service. Reputation management is the practice of working to increase the number of positive online reviews about your services on platforms like Google, Facebook and Yelp while also trying to intercept negative reviews before posting and responding to any negative reviews.